Here’s a taster from the Introduction of my new book, Limestone Country, out on May 30 from Little Toller. You can preorder a copy here! This book is about a love affair with limestone, that sedimentary rock, largely calcium carbonate, which time and water make out of bones and shells. Limestone is the cannibal earth reconsuming her own. But its lacy spume is a hundred times more delicate than marble. Limestone dazzles in Sicily, contorts the highlands of Bosnia, paves The Burren in County Clare, emerges in fantastical tufa formations on the eastern Mediterranean, in Lebanon and Israel, and creates the dramatic caves and gorges of karst regions like Slovenia’s Kras, the Chocolate Hills of the Philippines – or Australia’s Nullarbor Plain. Rome is built from Travertine limestone. Mount Parnassus is limestone, as is the pavement of the Acropolis. Subtle, water-inflected, still ceaselessly in transition, limestone is welcoming to humans, who have long found it adapts easily to their needs, as they to it. It enabled some of the earliest human settlement and art of which we know. The great paintings of Lascaux and other nearby caves, which date from 15,000 BCE, are found in the limestone valley of the River Vézère, in south-west France. A few kilometres further south again, the inhabitants of the limestone Grotte du Vallonnet left their tools behind over 1,000,000 BCE. Really living in these landscapes means paying radical attention to how they behave. It means knowing their wildlife as well as ways of farming, observing how water and vegetation respond to the mineral facts of rock and soil as much as how humans live in and with them. 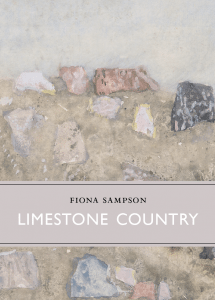 This is a book about trying on possible ways of living – or dying – in limestone country.